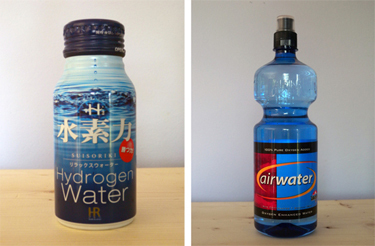 I'm not sure how they do it chemically but Hydrogen Water (from Japan) has extra hydrogen in it. Airwater, a Seattle product, contains extra oxygen. If these two companies get together, they could combine the extra hydrogen and extra oxygen and make water with extra water in it.